The European Commission (EC) on Wednesday, December 5, published a plan to strengthen the global role of the euro in world markets. EC Vice President for the Euro and Social Dialogue Valdis Dombrovskis said that Brussels intends to make the euro a more attractive currency for international payments than the US dollar. In addition, it is planned to use the euro more for calculations on the global oil and gas markets, as well as in strategic sectors of the economy. According to officials, the euro must comply with the political, economic and financial level of the eurozone in order to act as a tool for legal regulation of the international political and economic order. 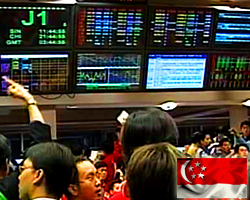 That exceeded expectations for a decline of 1.6 percent following the 0.7 percent drop in the three months prior. On a yearly basis, house prices skidded 1.9 percent - again exceeding forecasts for a fall of 2.0 percent following the 0.6 percent decline in the previous three months. 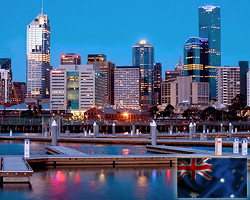 The capital city residential property price indexes fell in Melbourne (-2.6 percent), Sydney (-1.9 percent), Perth (-0.6 percent) and Darwin (-0.9 percent), and rose in Brisbane (+0.6 percent), Adelaide (+0.6 percent), Hobart (+1.3 percent) and Canberra (+0.5 percent). Annually, residential property prices fell in Sydney (-4.4 percent), Darwin (-4.4 percent), Melbourne (-1.5 percent), Perth (-0.5 percent) and rose in Hobart (+13.0 percent), Canberra (+3.7 percent), Adelaide (+2.0 percent) and Brisbane (+1.7 percent). The total value of residential dwellings in Australia was A$6.847 trillion at the end of the September quarter 2018, falling $70.148 billion over the quarter. The mean price of residential dwellings fell A$9,700 to A$675,000 and the number of residential dwellings rose by 40,900 to 10,143,700 in the September quarter 2018. Also on Tuesday, the business confidence index from NAB came in with a score of +3 in November - down from +4 in October. The index for business conditions slipped to +11 from +12 a month earlier. Singapore's retail sales grew for a second straight month in October, but the pace of increased slowed sharply, amid weaker sales in department stores and supermarkets. Retail sales at current prices edged up 0.1 percent year-on-year after a 1.9 percent gain in September. In August, sales fell 0.4 percent. On a seasonally adjusted basis, retail sales dropped 0.4 percent month-on-month in October, same as in September. Year-on-year, department store sales fell 3.6 percent, while sales at supermarkets and hypermarkets dropped 2.9 percent. Motor vehicles sales decreased 2 percent. Sales at petrol service stations logged the biggest increase of 11.4 percent, followed by medical goods and toiletries with a 3.4 percent rise. At 2:00 am ET Thursday, Destatis will release German final inflation data for November. 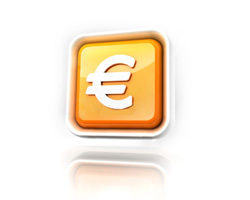 Ahead of the data, the euro traded mixed against its major counterparts. 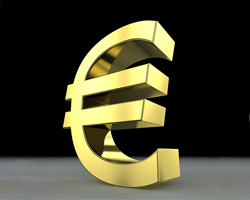 While the euro held steady against the yen and the franc, it rose against the pound and the greenback. The euro was worth 1.1372 against the greenback, 129.00 against the yen, 1.1297 against the franc and 0.9009 against the pound as of 1:55 am ET. Destatis will release German wholesale prices for November at 2:00 am ET Friday. Ahead of the data, the euro traded mixed against its major rivals. 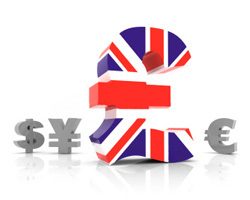 While the euro fell against the greenback and the yen, it rose against the pound. Against the franc, it held steady. The euro was worth 1.1348 against the greenback, 128.89 against the yen, 1.1290 against the franc and 0.9001 against the pound as of 1:55 am ET. Turkey's unemployment rate grew for a fifth straight month to its highest level in over one-and-a-half years, figures from the Turkish Statistical Institute showed on Monday. The jobless rate climbed to 11.4 percent from 11.1 percent in August. The latest figure was the highest since March 2017, when the rate was 11.7 percent. 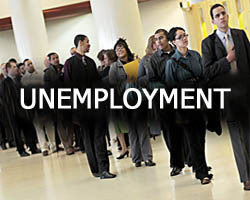 The number of unemployed grew to 3.75 million persons from 3.67 million in the previous month. Employment fell to 29.01 million from 29.32 million. The seasonally adjusted unemployment rate edged up to 11.3 percent from 11.2 percent. Switzerland's State Secretariat for Economic Affairs is set to publish its quarterly economic forecasts at 1:45 am ET Tuesday. Ahead of the data, the franc traded mixed against its major counterparts. While the franc held steady against the yen, it fell against the greenback and the pound. Against the euro, it rose. The franc was worth 113.37 against the yen, 1.1268 against the euro, 1.2541 against the pound and 0.9933 against the greenback as of 1:40 am ET. Following the release of German producer prices for November at 2:00 am ET Wednesday, the euro changed little against its major counterparts. The euro was trading at 127.99 against the yen, 1.1299 against the franc, 0.8995 against the pound and 1.1385 against the greenback around 2:03 am ET. The jobless rate in Australia came in at a seasonally adjusted 5.1 percent in November, the Australian Bureau of Statistics said on Thursday. That exceeded expectations for 5.0 percent, which would have been unchanged from the October reading. 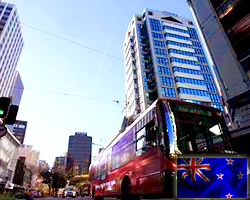 The Australian economy added 37,000 jobs to 12,694,300 last month - blowing away expectations for an increase of 20,000 jobs following the gain of 32,800 in the previous month. Full-time employment decreased 6,400 to 8,684,600 and part-time employment increased 43,400 to 4,009,600. The participation rate was 65.7 percent, beating forecasts for 65.6 percent - which would have been unchanged from a month earlier. The monthly trend underemployment rate increased less than 0.1 pts to 8.4 percent. 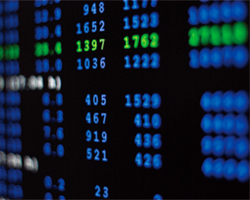 The monthly trend underutilization rate remained steady at 13.5 percent. The monthly seasonally adjusted underemployment rate increased 0.2 pts to 8.5 percent. The monthly seasonally adjusted underutilization rate increased 0.2 pts to 13.6 percent. In December, fruit and vegetable prices fell 1.1 percent (down 0.6 percent after seasonal adjustment) on month; meat, poultry, and fish prices rose 0.2 percent; grocery food prices rose 0.1 percent (up 0.5 percent after seasonal adjustment); non-alcoholic beverage prices fell 2.6 percent; and restaurant meals and ready-to-eat food prices rose 0.2 percent. On a yearly basis, food prices were up 1.0 percent in December. In December, fruit and vegetable prices decreased 6.1 percent on year; meat, poultry, and fish prices increased 3.8 percent; grocery food prices increased 1.4 percent; non-alcoholic beverage prices decreased 0.2 percent; and restaurant meals and ready-to-eat food prices increased 2.9 percent. "Overall, getting your five-plus a day servings of fruit and vegetables was cheaper in 2018," consumer prices manager Geraldine Duoba said. "Bad weather in 2017 reduced the supply of many vegetables, pushing up their prices. Growing conditions were mostly more favorable during 2018, boosting supply and lowering prices."